Having an itchy scalp as a result of braiding is due to the chemical that is used to coat the synthetic hair so as to last longer. This chemical causes the hair heat resistant and also prevent mould but consequently, causes itchy scalp. The chemical is the main reason why the hair can be irritating to your scalp. Do not panic, as this is easy to cure. Using apple cider vinegar or plain vinegar can help you out on this issue. Have a bowl or cup of apple cider vinegar or plain vinegar. Dilute with warm water and mix together. Then, release the hair you are treating and put in the bowl of mixture. Let it soak for 30min up to an hour. You will notice a white substance coming off the hair and floating in the mixture, that's the chemical you are eliminating. After these steps, rinse the hair with clean cool water twice before letting it dry. 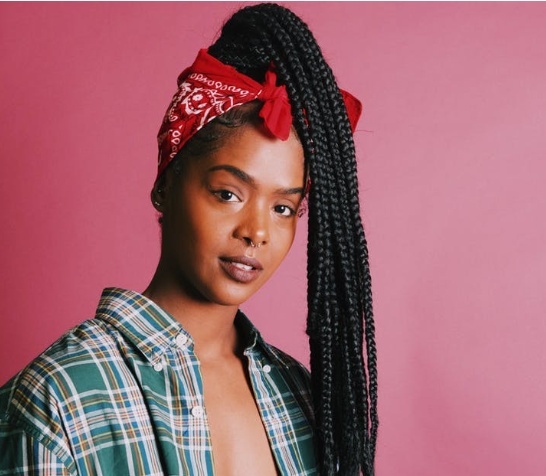 Protective styles of braids are the best ways to renew your look still keeping your strands from chemical and heat exhaustion. 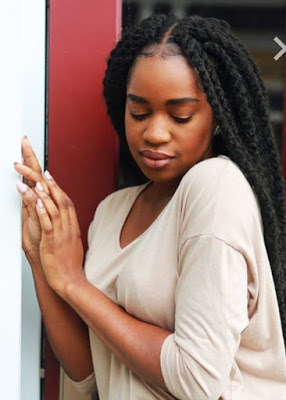 Meanwhile, rocking these braids styles is actually associated with a defect which is scalp itchy. We meant the severe itchy scalp situation that accompany low maintenance looks. This situation causes you to part your head constantly, even though you feel eased on doing that, it does not get to the root of the problem or procure absolute solution to the situation. Here ways compiled to stop the itching of the scalp. This is usually the root cause. Even though we all know that the tighter the braids, the longer the style will last but nevertheless, the tension caused to our scalp will not be favourable. The tension on scalp can cause inflamed bumps that will result to hair loss or thinning. If you feel your hairstylist is making your hair too tight, feel free to speak up asking the stylist to ease up. As well as this pains so also won't do good to your scalp. 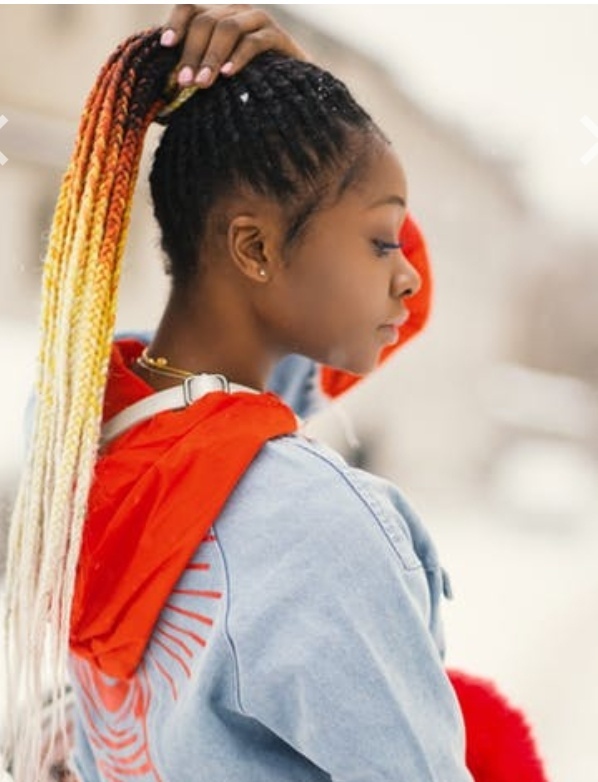 Most times, the hair extension used for the braid styles are synthetic hair that can cause irritation of the scalp and itchy and inflamed scalp. To avoid these allergic reactions, you can go for the 100 percent human hair if it is affordable to you. Human hair extensions do not have allergic reactions as it is safer and better. With much sincerity, the natural hair extension is not an option to some people because of the exorbitant prices associated with them. To minimize scalp irritation while using synthetic hair, just get the good quality synthetic hair and give the hair an apple cider vinegar bath. In a warm solution of hot water and apple cider vinegar, soak the hair for 20 minutes, rinse thoroughly and dry completely. This will soften the hair and remove the coat of the manufacturing process. Essential oils can be used for tension bumps and inflammation such as castor oil, lavender or coconut oil to ease tightness or calm aggravated areas. If all these tips are tried out and yet still having scalp itch, endeavor to loose the style immediately. Never worry about the cost used in making the hair because scalp traumas are irrevocable if neglected. Seek professional help, the faster you seek professional help, the higher the chance of improving the condition of your scalp. In general, time and patience is very important when wanting to see scalp health.